The turkey is in the oven, the table is set, and the kiddos are coloring place cards. Now I have my first few moments of peace since early this morning. So, first things first, Happy Thanksgiving! 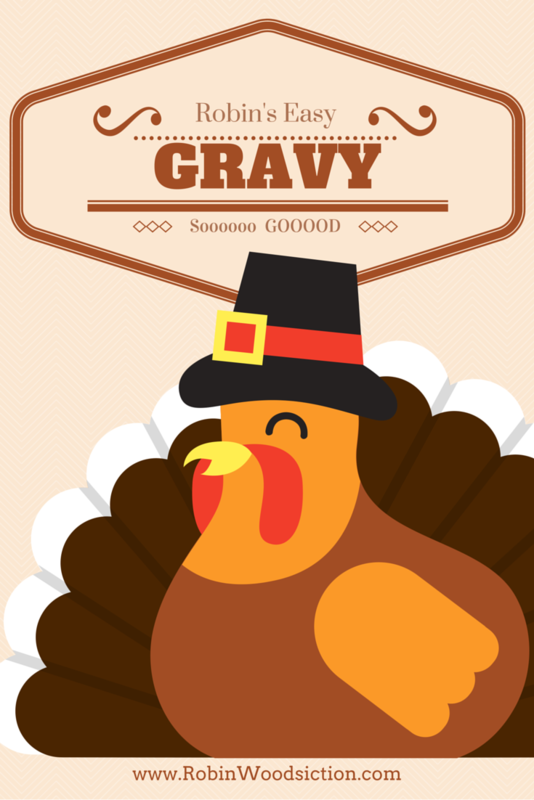 If you need a gravy recipe for later today, I have a great one! Robin’s Easy Gravy. Second, here’s a little update. It’s been…well, a really, really long time. Bad writer, I know (shuffles feet and looks down). Life has been extraordinarily busy this school year. I’m still teaching high school and college classes in American and British Literature. Additionally, who knew that first and third graders would have so much homework? I’m spending my afternoons I am working on some projects, just slowly. I’m afraid I’ve missed my deadline for Light & Shadows: Watcher Series Shorts and Extras. Being late kills the perfectionist in me (Argh!). I did complete a 25 page prequel extra with Joshua in Romania with Gabriel, Kez, and Samael. The book is still in the works, it will be out sometime in 2017. I may add a little post-The Fallen extra for those of you who have been asking. If you are dying to have something included, send requests through my contact page. Without further ado, here is the GORGEOUS cover for The Fallen: Part Two due in May. This makes it feel almost real! Kyle Walker, once again, is a rock star!! Betrayed by the person she trusted most, Aleria breaks away from the safety of the Watchers only to become entangled in the cunning schemes of the Fallen. But celestial beings aren’t the only danger. Traitors endanger Bowen’s reign, jeopardizing the uneasy truce between vampires and humanity. As Aleria’s visions become something else entirely, it’s a race against time to root out those who would enslave the world. Now separated from Aleria, Gabriel tries to manage the chaos in hopes that he can stop Semjâzâ before it is too late. Desperation forces him to pair up with an unlikely ally as he struggles to defeat the Fallen. It’s an all or nothing fight to stop the Fallen from enslaving both the human and shadow worlds before it’s too late. Add The Fallen: Part Two to your GoodReads list. I have a special guest on my blog today. She’s no stranger here, but it’s been a while since I’ve hosted her. Please give a warm welcome to novelist, Robin Woods, author of The Watcher Series. She’s sharing about her latest projects, giving some author/writer tips, and letting us know a bit more about her life. Enjoy! Click here to read the interview and enter the giveaway. The Hammock Interview with Me! Posted in Author Interviews, My Life, Watcher Series and tagged a little about me, alt-j, claudia arroyo valdez, elbow, In the Hammock, interview, music, robin woods, supergrass, text message, the fray, The Hammock, U2, vampires, watcher series, writing, YALit on January 22, 2015 by rwoodsfiction. What do you think is the strongest theme in all of your books? If I could only pick one, it would be redemption. That theme is prevalent in every book in the modern timeline, including the one I am finishing. Can those who have embraced evil become a force of good? 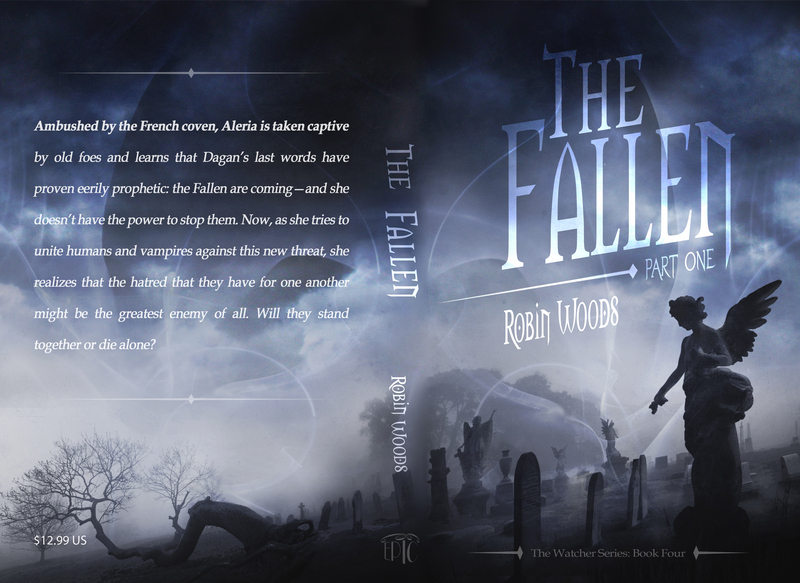 Posted in Fan Questions, The Fallen: Part One, The Nexus, The Sacrifice, The Unintended, Watcher Series and tagged Fan Questions, good v evil, redemption, theme, themes on January 3, 2015 by rwoodsfiction. In The Nexus, why did Aleria freak out so bad on Winslow? She couldn’t even admit that he had a bit of a point suggesting that she sleep with someone. Why did she let her values get in the way of the greater good like that? The simplest possible answer is that it made her feel like property—and more specifically—a whore. Remember that this is an emotional response and she hasn’t had even twenty-four hours to digest this information. She already feels like her life has been stripped away and she is living like a prisoner. To be told that if the man she loves can’t do the deed, then they should just have someone else do it was demeaning. Ali would have probably ended with the same conclusion Winslow had suggested, but it was too soon. Everyone was thinking it, but Gabriel and Joshua were at least kind enough to give her the space to figure it out. And Gabriel would never have allowed Ali to be forced, whereas Winslow, being a fearful man, would have considered force as an option. Ali sensed this and reacted to it. So besides feeling like control of her own body wasn’t hers to choose, she also felt unsafe. On a more philosophical note, the value of an individual and the right to free will are both motifs in the series. There is a struggle between the two factions within the Concilium on whether the individual matters. Do the ends justify the means? Is it acceptable to take/strip individuals of their rights for the greater good? Posted in Fan Questions, The Nexus, Watcher Series and tagged character motivations, Fan Questions on November 20, 2014 by rwoodsfiction. Many of you have been waiting! 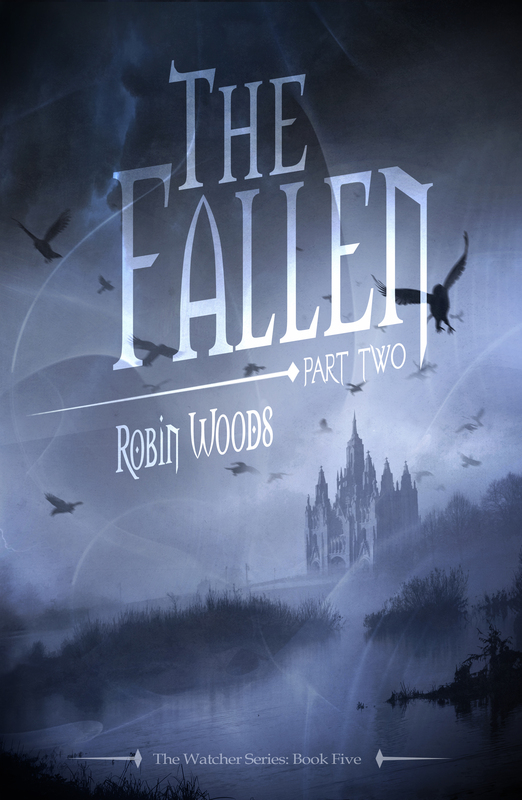 There are only two more days until The Fallen: Part One will be released. Here are the first FIVE chapters (50 pages) to tide you over. Enjoy! 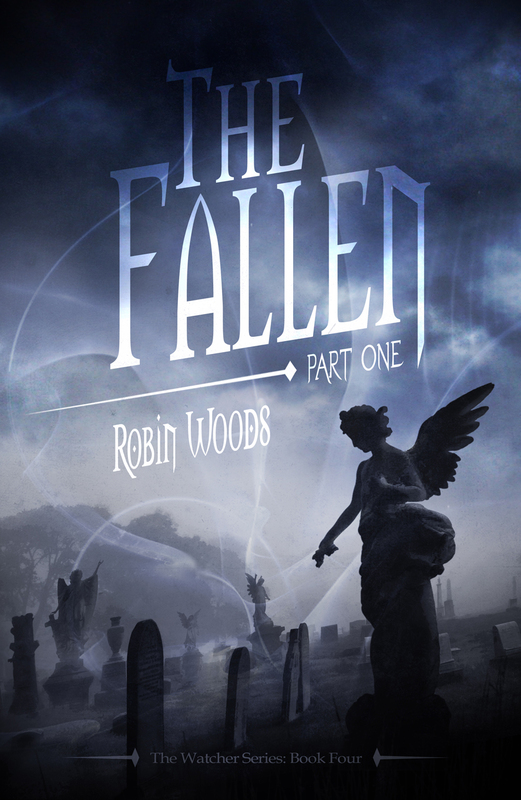 Posted in Books, The Fallen: Part One, Watcher Series and tagged The Fallen: Part One on October 12, 2014 by rwoodsfiction. You have the Oneiroi from mythology in your books. How do you say their name? I read it differently in my head every time! I pronounce it own-air-roy. Although, some people pronounce all of the letters making it own-ee-air-roy. 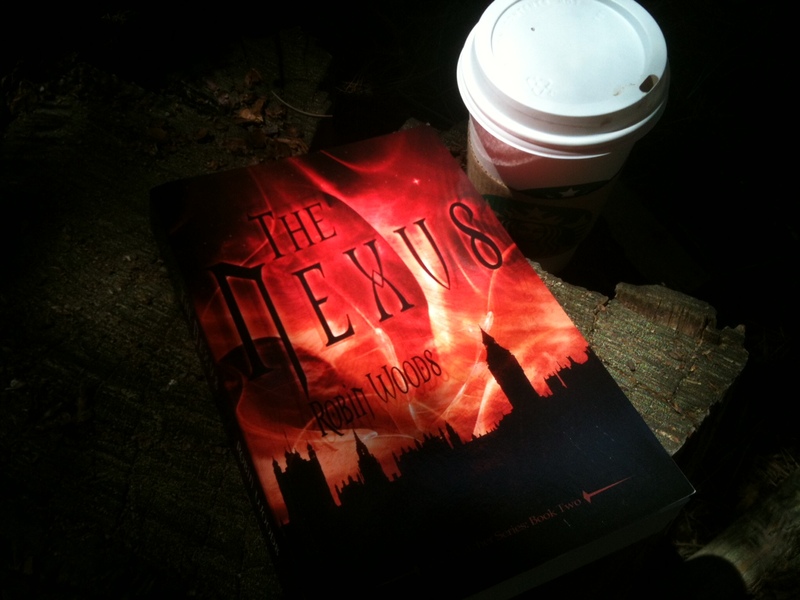 The Oneiroi appear in my novel, The Nexus, and all subsequent books in the Watcher Series. Check out my fun twist on these mythological characters. Posted in Books, Fan Questions, Mythology, The Fallen: Part One, The Nexus, The Sacrifice, Watcher Series and tagged characters, icelos, morpheus, mythology, Oneiroi, phantasos, pronunciation on October 4, 2014 by rwoodsfiction. When is The Fallen coming out? I can’t wait!!! It is slated to come out on Tuesday, October 14th!! Posted in Allure, Fan Questions, Mythology, The Fallen: Part One, The Nexus, The Sacrifice, The Unintended, Watcher Series, Writing and tagged The Fallen: Part One on October 4, 2014 by rwoodsfiction. I gotta say right off the bat that I am a huge fan of your books. A couple months ago I got my friend into them too. But recently she and I have been getting into arguments because she doesn’t like Ali. She doesn’t think she has enough of a personality or thinks that some of her actions aren’t good. Like she thinks that Ali has no loyalty because she leaves her friends after Josh comes back. When she says this I take it as a personal attack because I relate to Ali so much. What should I do? First of all, thank you for reading. I am honored that people are passionate about my books. Unfortunately, we can’t *make* people like what we like. I am a little baffled on the not having enough personality. Ali is strong and sassy in my mind’s eye (you see this more in The Nexus). She is not perfect, but who is? The flaws are what make characters interesting. As far as loyalty goes, I see her as fiercely loyal. All of the decisions she makes in The Unintended are pretty much based on loyalty. She avoids her friends to protect them, not leave them behind. She would much rather have a house full of people when she feels threatened, but the thought of one of her friends getting hurt is more than she can handle. So she faces a creepy, empty house on her own. Another point: She never abandoned her friends the entire time she was dating Robert, and she wouldn’t have done it if the situation with Joshua was a little more normal. The only reason she hadn’t been hanging out with them more was because she was in huge trouble with her parents for letting her grades slip after breaking up with Robert. 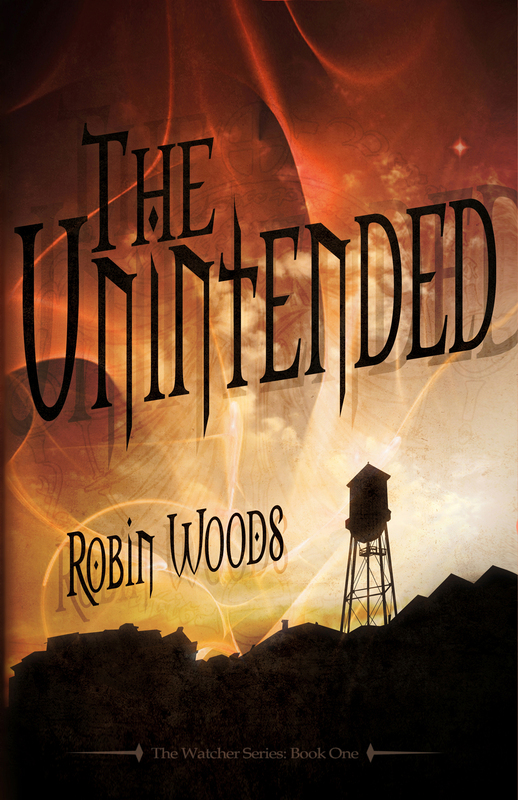 Posted in Fan Questions, The Unintended, Watcher Series and tagged aleria hayes, character motivation, characters, Fan Questions, loyalty, robin woods, robin woods fiction, sacrifice, watcher series on January 10, 2014 by rwoodsfiction.